Join custom painters, Ryno & Scott Mackay while they walk through a 70's style graphic layout, utilizing FBS products in this FREE Title. Gold Mask is a professional quality, extremely thin, flexible, semi translucent tape with easy release paper backing. 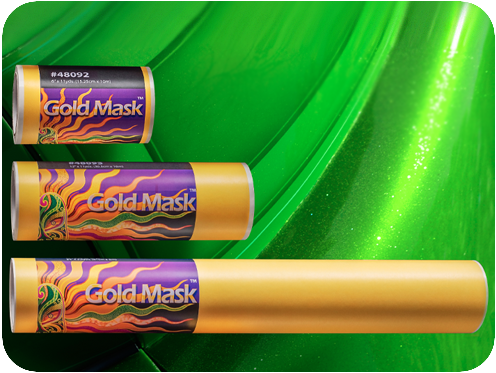 Gold Mask is ideal for custom painting, complex graphic designs, airbrushing & much more.